Are you a keen card sender? A rememberer of all things worth celebrating? Then this Bright Side Greeting Cards Book is the most useful tool you could ever want, making remembering those special occasions so much easier and of course in the most stylish of ways. This greeting cards book runs month-by-month and contains a calendar style read-out of each, with ample room to jot any special days, birthdays, anniversaries and more down! A generously size slot within each months page allows room for multiple cards fit for all occasions, with further storage room found at both front and back of the ring-bound book. Attention to detail is found within every element of this book, from a list of wedding anniversary gifts to give for each year to a lovely little poem in the front pocket. 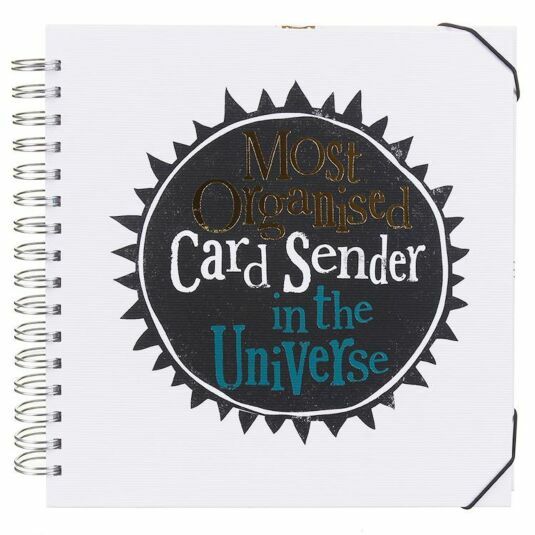 The front of the book continues this with a large sun silhouette housing the words ‘Most Organised Card Sender In The Universe’ in a mix of shimmering gold, teal and white font. 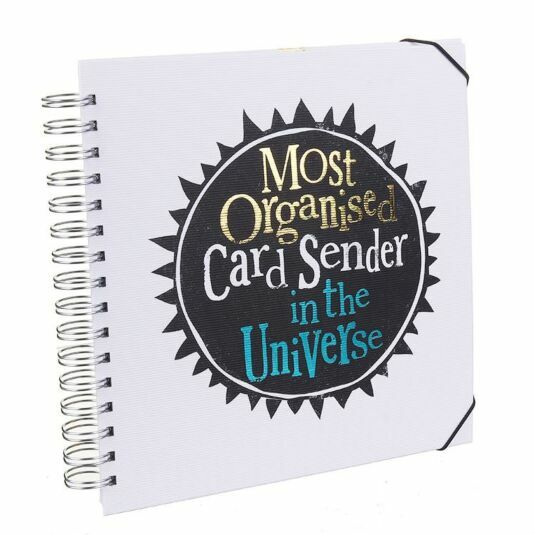 This The Bright Side ‘Most Organised’ Greeting Cards Book is the gift to remember all gifts, perfect for remembering those important dates and sending the love each deserves.